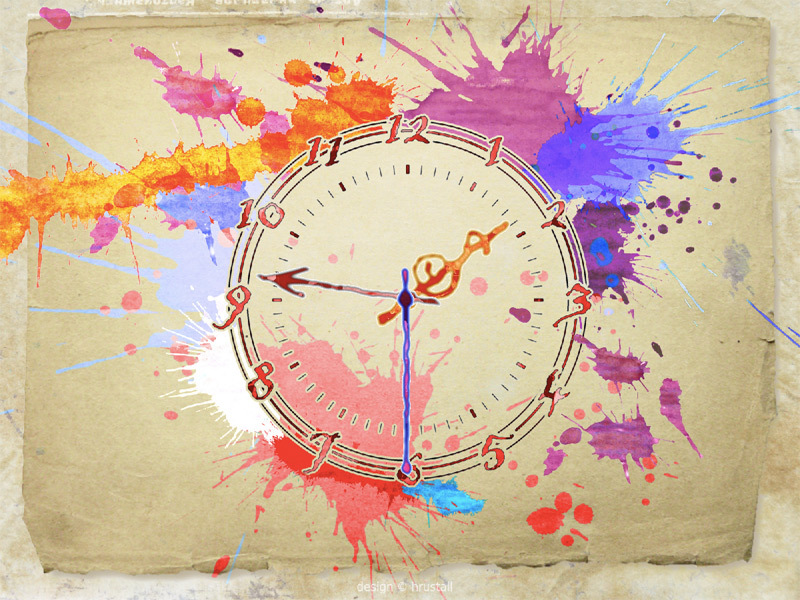 The Water Color Clock - Joyful blots of water color in your screensaver! Imagine you take rich water colors and give reins to your passions! 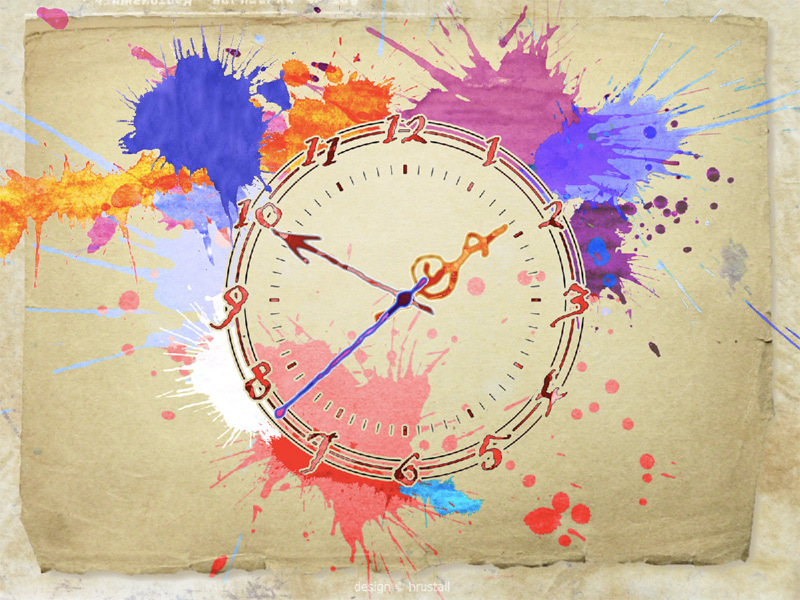 Brushes feel freedom in your hands and joyful blots appear on a sheet together with the magical clock hands. 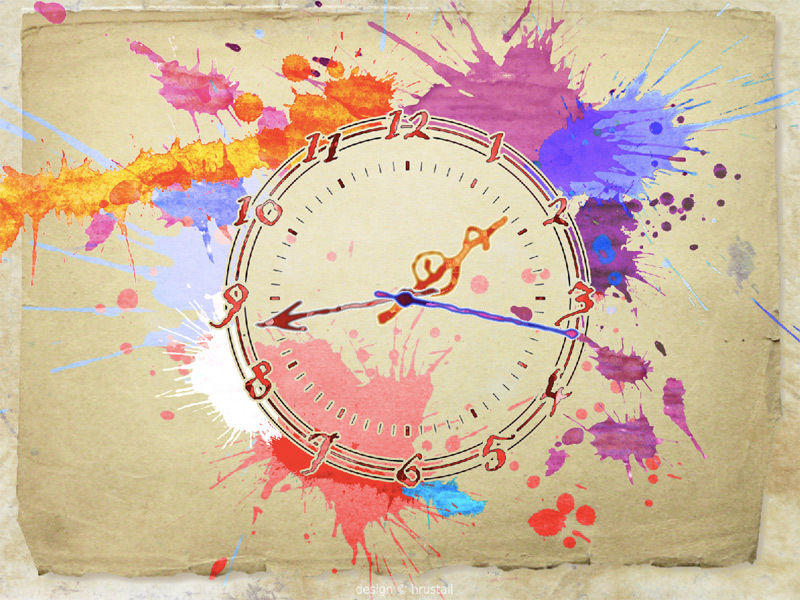 The Water Color Clock is a real present to decorate your PC in a free and easy artistic manner lightning your imagination. Joyful blots of water color in your screensaver!